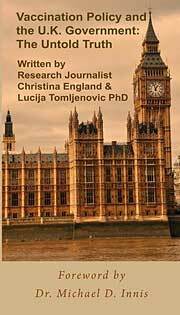 Vaccination Policy and the U.K.
Vaccination is not compulsory in Australia, so the decision not to vaccinate yourself, or your child does not require government registration or justification. Since January 2016 however, families with a child (up to age 20) and currently registered with a Conscientious or Religious exemption (along with the partially vaccinated), were provided a time-limited period (1 January 2016 to 31 December 2017) to commence a free 'catch-up' with the current National Immunisation Program Schedule (NIPS), or be denied further government payments. Note: The Family Tax Benefit Supplement A ceases once a child has finished school or is on Youth Allowance. A person may have, or can obtain a medical exemption to vaccination if they are undergoing treatment that compromises their immune system ie, chemotherapy, or presents with a vaccine contraindication as listed by the manufacturers product disclosure insert. It must be noted that an individual with a prior personal or family history of a serious vaccine injury may no longer be sufficient grounds for a medical exemption. This is something to discuss with your preferred GP. Vaccine inserts once listed family adverse events as a contraindication, but was removed to minimise liability and improve compliance. View: 2015 'False' Contraindications for vaccination. In seeking a medical exemption from an unfamiliar GP, be prepared and provide all relevant health records including; test results, receipt of referrals/consultations/treatments, photographic/video evidence (before/after), carer/school/medical incident or adverse event reports. If you know or suspect your child has acquired natural immunity, this can be confirmed with a blood test, which provides exemption for the associated vaccine. There are no concessions for selective or partial vaccination, unless a medical exemption states it. For full Medical (Contraindication) Exemption to be accepted, your GP must tick all the vaccine boxes on the current Medical Contraindication form. Be sure to request/make at least two extra copies of this form for your records, plus an original for Medicare. For those who will not or cannot qualify for a medical exemption, then the decision remaining is whether government benefits are financially essential or the 'catch-up' is a financial necessity. For vaccine refusers/objectors, be prepared that current childcare services may be withdrawn, and alternative childcare/work arrangements may need to be made. 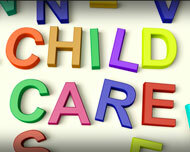 Best to discuss your options with your current or anticipated childcare provider in advance. Be aware that families who do not financially qualify for these payments, can be challenged by private childcare providers who nominate to enforce the current vaccination schedule as a condition of enrollment. Also know that children will NOT be denied access to government preschools, primary or secondary school because of their vaccination status. For concerns over, or threat of illegal discrimination, contact the Ombudsman. SBS News: No jab, no pay laws pass parliament. November 2105. 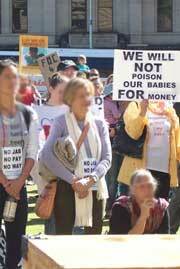 In April 2015, the Federal Government responded to mounting media pressure, and aggressive campaigning for compulsory vaccination throughout the US, with Tony Abbott announcing the 'No Jab No Pay' legislation. This legislation aims to improve the federal budget and increase vaccination rates, but most importantly, combat the increasing number of Conscientious Objectors registered to receive government benefits. In the same announcement, the Childhood Immunisation Register is scheduled to become the Australian Immunsiation Register, which will record vaccine compliance from birth to death. Public demonstrations and hearings have taken place in all states, inviting written submissions from the public and other stakeholders. In Queensland, an unprecedented number of submissions were received. The Public Hearing in Brisbane was attended by political speakers, members of the public and stakeholders. Despite overwhelming objection, and open admission from the Health Dept. 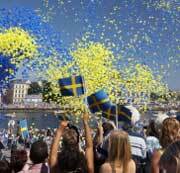 that the necessary administrative management to implement the scheme was uncertain, the legislation was passed. Several recommendations were made to address the objections raised, however 'No Jab No Pay' has since been passed in the Senate and will be enforced January 1st, 2016. Regardless of whether you agree with vaccination or not, the removal of Conscientious Objection as an exemption has far reaching implications when it comes to any issue a government or its associated influences deems best for 'the greater good’ of the community. Be it a medical issue, national security, privacy, religion or politics. Conscientious Objection accepts and respects individual rights for a host of valid reasons - even doctors are protected against this discrimination. 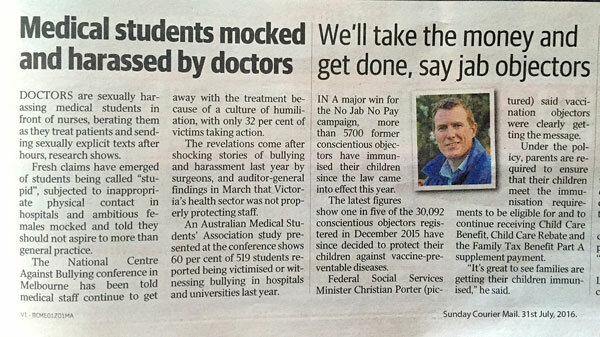 'No Jab No Pay', to be enforced from January 2016, has been propelled by a frenzied and biased media campaign desperate to divide a community of sensibility and rational discussion over a very medical procedure that caries risk of harm and injury like every other pharmaceutical intervention. The AMA advises immunisation providers SHOULD NOT VACCINATE without the voluntary consent of the parent or individual. For the purposes of clarity, the patient/parent/guardian must voluntarily consent to an immunisation. The key to a voluntary decision is the absence of undue pressure, coercion or manipulation. If the parent presents with an “involuntary consent form” or states they are being coerced to do so by government the doctor should not proceed to vaccinate the child because valid consent has not been provided. Read AMA article, Jan 2016. The implications for conscientious objectors are currently being investigated to determine the legal limitations of No Jab No Pay, should a parent or individual appeal the denial of payments because a doctor cannot/will not vaccinate without voluntary consent. The discriminatory and hardlined agenda of this policy has not gone unnoticed, effectively side stepping the key issues driving vaccine refusal, and the rationale behind Conscientious Objection. If the Australian government is serious about improving confidence in vaccination, it will need to get REALLY serious about scrutinizing vaccine research, efficacy and safety, conflicts of interest, establishing a mandatory (and accountable) vaccine adverse event register AND a no-fault vaccine injury compensation fund, to support the victims of vaccine injury, disability and fatality. In Queensland, it has been the discretion of individual childcare providers to determine a childs vaccination status before enrolment. In 2014, this freedom was challenged in the state of NSW and QLD with a proposed amendment to the Public Health Act 2010, requiring parents to provide evidence (not participation) of the vaccination status of children, to enrol their child in child care. Non-compliance will result in a $4000 fine to the childcare centre. They have a conscientious objection to vaccination documented following counselling by a general practitioner (GP) or authorised practitioner. 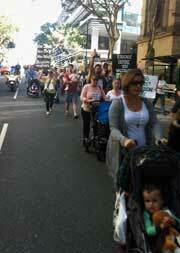 The same Bill was submitted in QLD by the Greens, prompting all the same objections plus more. Inspite of the intense, emotive media pressure in NSW and the backing of certain QLD politicians, this amendment was rejected by the AMA, the childcare industry and the Government's own legal team. Again, no significant media attention received. Here are the highlights, although you can view complete transcript of proceedings. Non-vaccinating families in QLD following the development of this media campaign and proposed legislation were relieved and frustrated with this transcript. Not surprisingly, the objections did not make front page news in ANY of the media streams who only weeks earlier were so adamant it was a necessary and widely supported amendment. 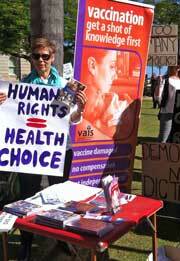 Inspite of the strong objections, the Bill was passed in NSW. A new vaccination register was established late 2016 to record all child and adult vaccines provided under the NIP. This is designed to assist with the 'monitoring' of safety, quality and delivery of vaccinations to the Australia population.